This program gives eligible, pregnant or nursing mothers, infants and children enrolled in the NYS Special Supplemental Nutrition Program for Women, Infants and Children (WIC), checks worth $4 each to buy produce at farmers’ markets. To find a local WIC agency convenient for you, call the Growing Up Healthy Hotline at 1-800-522-5006. The Senior Farmers’ Market Nutrition Program (SFMNP) provides seniors with checks worth $4 each to buy produce at farmers’ markets. Eligibility is based on age and income; participants must be 60 years or older and have an income less than or equal to 185% of the federal poverty level. Senior citizens interested in the SFMNP should contact their local Office for the Aging or call the New York State Senior Hotline at 1-800-342-9871. Find out if you are eligible for SNAP benefits (formerly food stamps). It’s quick, easy and confidential! Find a New York State Farmers Market near you. Visit NYS Department of Agriculture and Markets. 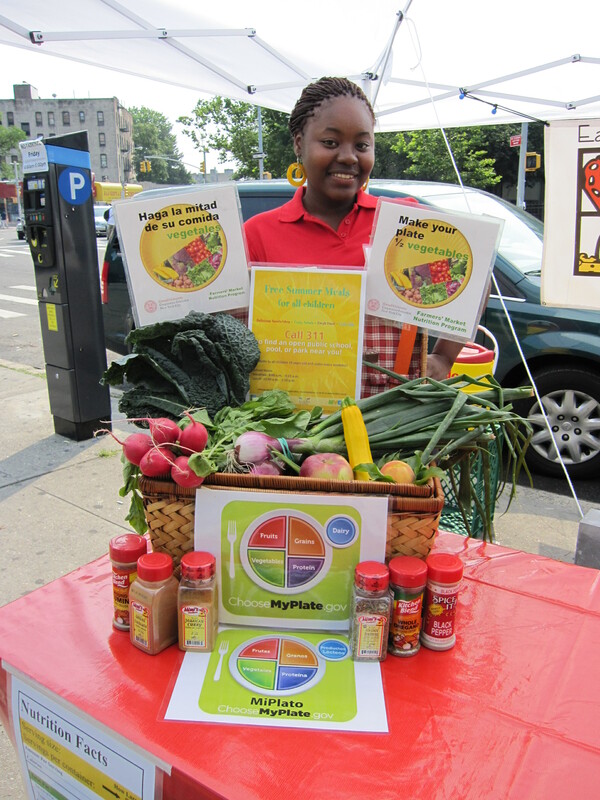 Find a New York State Farmers’ Market that supports EBT/Food Stamps (SNAP Benefits). Visit SNAP to Market. Find exciting recipes and news about markets.